There are apps for all kinds of needs, whether you're trying to pop virtual bubble wrap, practice voodoo or scan fingerprints. On the more serious side, there are plenty of apps that help people with a real and common need: managing their money effectively. Just as useful as apps for investors, these personal finance tools focus on helping you save more, earn more and spend more efficiently. I'll name some of them below (with their recent prices in parentheses). Don't see your favorite app listed here? Share it with others via the comment section below. 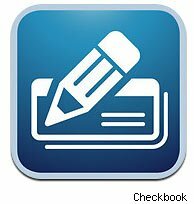 Checkbook for iPad ($1) lets you keep track of the money in your various accounts with a checkbook-like interface. You can import your banking records, schedule transactions, sync data with other i-devices, and more. Pageonce (free) offers similar functions, such as paying and tracking bills and monitoring your investments. Ace Budget 2 ($1) lets you keep track of your expenses and income -- critical tasks, if you're trying to save as much as possible and allocate your funds efficiently. Mint.com (free) also offers help with budgeting and much more, such as the ability to track most of your financial accounts, including bank accounts, retirement accounts, investments, credit cards and so on. We all know it's smart to do some comparison shopping before plunking down our hard-earned money for items. That can be easier said than done, though, especially when faced with a possible spontaneous purchase. Now, with apps, you can use your smartphone or other device to check up on what your smartest option is. 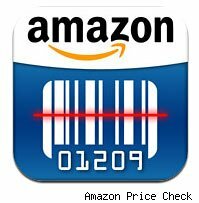 Amazon's (AMZN) Amazon Price Check (free), for example, will let you enter a product's name, scan its barcode, or photograph its cover (if it's a book, DVD, CD, etc. ), and then it will tell you what that item will cost you on Amazon.com. You'll also be able to access Amazon's reviews of the product and add it to your wish list to consider purchasing later. 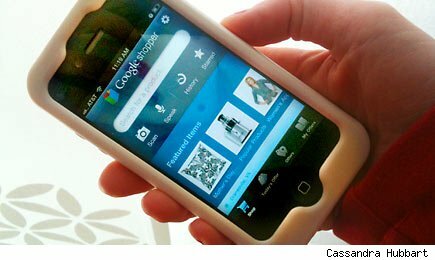 Similarly, Consumer Reports Mobile Shopper 2012 ($5) lets you look up products and read their ratings and reviews, along with some consumer reviews. Google Shopper (free) can also scan barcodes and will even let you speak the name of the item you're looking up. Then it will help you find ratings, reviews and nearby vendors. RedLaser (free), recently bought by eBay (EBAY), performs similar services and can also save you money by letting you know whether a book you're thinking of buying is available at a nearby library. Check out the CompareMe Shopping Utility ($2), too. All these apps can be particularly valuable if you want to negotiate a lower price, perhaps on a big-ticket item like a TV; simply show the salesperson how much less you can pay somewhere else. Not only can you save money by comparison shopping, but now you can make money via apps like Smoopa (free), which enters users in drawings for goodies whenever they scan and report on an item's price in a particular store. Smoopa can also alert you if a product's price drops below a certain level, helping you save some dollars. 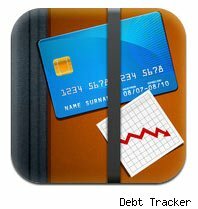 DebtTracker Pro ($3) lets you enter information about your debt (loans, mortgages, etc.) and track payments, balances due, and how long it will take to retire the debt. It also lets you try out different repayment scenarios to help you find effective paths to being debt-free. MoneyPass ATM Locator (free) will help you find the closest ATM that won't charge you a hefty fee. If you're paying a few dollars each week to an ATM, this can be a significant money-saver. All these apps are just the tip of the iceberg. Spend some time exploring app stores and app review sites such as MacWorld's AppGuide and PCWorld's AppGuide, and you'll likely encounter additional apps of interest. One final word of caution: While various apps can make your financial dealings easier, they can also potentially introduce some new headaches into your life -- via security breaches. For maximum protection, avoid accessing your financial accounts on your portable devices. And with all computers, tablets and smartphones, it's best to use strong passwords, change them regularly, and follow other app safety recommendations. Lots of financial apps detail their security features, which can help you decide whether you want to use them. Mint.com, for example, explains: "Your app is passcode protected with a unique 4-digit PIN. If you lose your device, or even temporarily misplace it, simply deactivate mobile access from your Mint.com profile page. With one click, prevent unauthorized access to Mint on your iPad or iPhone." Finally, know that the world of apps is growing and changing all the time, with new apps appearing regularly and existing apps being improved frequently. Services you wish were available may be available soon. And those security threats we face today may be conquered soon, though new ones can still appear. Motley Fool contributor Selena Maranjian, whom you can follow on Twitter, owns shares of eBay and Amazon.com. The Motley Fool owns shares of Google and Amazon.com. Motley Fool newsletter services have recommended buying shares of Google, eBay, and Amazon.com, and writing puts on eBay.